I love the fact that light engenders a sense of extravagant joy and uplifting optimism. It is this sense of joy and optimism that I am endeavoring to convey in my paintings. Mitchell has a Bachelor of Fine Art from Cleveland Institute of Art, and now teaches at both the Cleveland Institute of Art and Lakeland Community College. 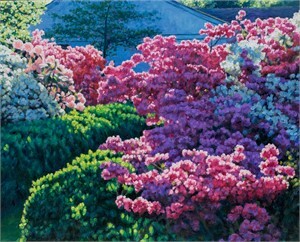 His use of color is extravagant and euphoric. 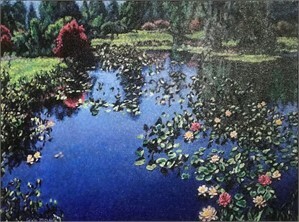 He focuses on the florals, water, and sky, that bring him joy in everyday life. 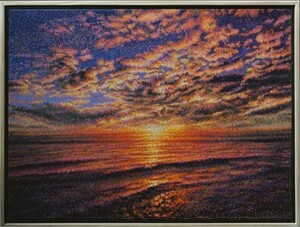 Mitchell is not afraid of texture and will often use pointillism along with impasto paint to create his images. 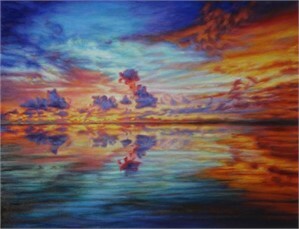 Artist Statement: I love the fact that light engenders a sense of extravagant joy and uplifting optimism. It is this sense of joy and optimism that I am endeavoring to convey in my paintings. About: Mitchell has a Bachelor of Fine Art from Cleveland Institute of Art, and now teaches at both the Cleveland Institute of Art and Lakeland Community College. His use of color is extravagant and euphoric. 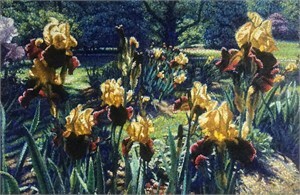 He focuses on the florals, water, and sky, that bring him joy in everyday life. 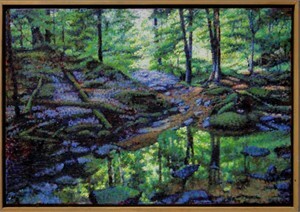 Process: Mitchell is not afraid of texture and will often use pointillism along with impasto paint to create his images.